Some time back, we covered the Cost Plus Incentive Fee Type of Contract Calculations, which is a “must know” for the PMP exam. 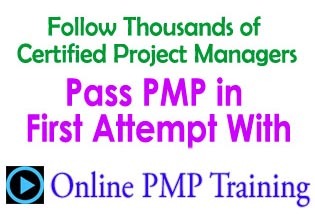 Also watch the video on How to Answer Contract Type Questions for PMP exam. 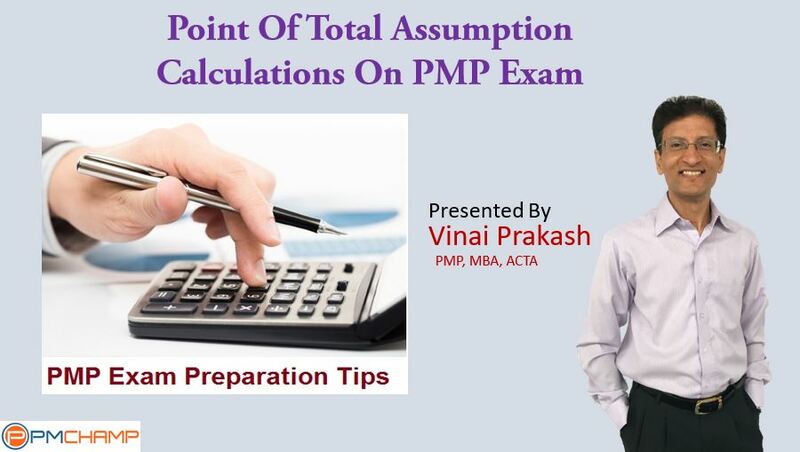 In the recent past, there have been many questions coming from a relatively unknown term – Point of Total Assumption (PTA) on the PMP Exam. Surprisingly, the Point of Total Assumption does not even appear in the PMBOK Guide, Sixth Edition. Yet, questions using the Fixed Price Incentive Fee (FPIF) contract type often refer to this term. To understand the PTA, you must first have a good understanding of the Fixed Price Incentive Fee Contract. In this contract, the buyer agrees to pay a fixed price, and a maximum price for cost overruns. This is called the Most Pessimistic View of Costs. Beyond this point, if the cost rises, it will most likely be because of mis-management at the Seller’s end, thus, the seller has to bear all the extra costs beyond this point. Any FPIF contract specifies a target cost, a target profit, a target price, a ceiling price, and one or more of the sharing ratios. The PTA is the difference between the ceiling and target prices, divided by the buyer’s portion of the share ratio for that price range, plus the target cost. If, however, the seller finishes work at lower cost, there is an incentive, and this maximizes the Seller’s gains. Share Ratio: 80% buyer–20% seller for over-runs, 50%–50% for under-runs. PTA = ((1,300,000 – 1,100,000)/ 0.80) + 1,000,000 = 1,250,000. Beyond the Point of Total Assumption, the seller’s profitability decreases, and their initiative and interest to complete the project may diminish too. Therefore, the PTA is also a risk trigger. As this point is reached, the project risk increases, and more attention is needed to complete the project at the earliest, with as little cost deviation as possible. In a real project, the Budget at Completion (BAC) should be controlled as closely as possible, and it is best to keep it under the PTA. This Point of Total Assumption does not come up in a Cost Reimbursable Contract, because in a Cost Plus type of contract, the buyer agrees to pay off all the cost. The seller's profitability decreases right from the first dollar (or whatever currency unit) of cost overrun, as the buyer only pays a part of the additional actual costs. They seller's share decreases profitability. HI can you explain in which circumstances in fixed price contract does seller disclose his her profit? If you disclose your cost and your profit/profit component its no longer a fixed price. What will be signed contract amount? Manish, Its a fixed price incentive fee type contract. Probably you are carried away with the wrong notion of ‘Fixed fee” alone.